You will feel something special while sitting on a wooden bench, on a beautiful day, and just enjoying nature, and being outdoors. We have all sat in the park on one. Why not have one at home too? 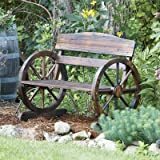 Here you will find a variety of Rustic Wooden Benches, which can be enjoyed at home, in your garden, yard, or even indoors. Some of them are meant to be decorative, some are meant to be functional, and some are both decorative and functional. My family has a couple at our home, and we enjoy them very much. 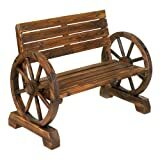 This interesting bench has unique armrests, that look like wagon wheels. Definitely has a rustic look to it, and is functional too. Rustic 3 Foot Barnwood Bench. This bench is about as rustic as it gets. It is made of real Barn wood, that is over 100 years old. It not only has that aged look, but it is also aged…..over 100 years worth..
Why Own a Rustic Wood Bench? Speaking from my own personal experience, a bench located in the right spot on your property can serve as a mini retreat. On those days when it gets a little hectic, and I need to wind down, I go outside, and watch the birds (we feed Orioles in the summer), and just enjoy the outdoors. 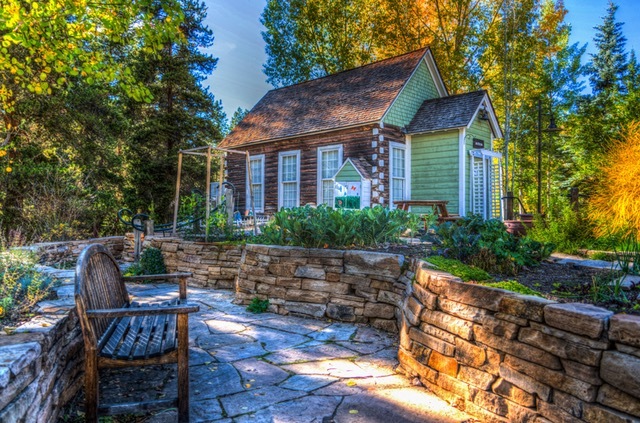 Add a couple of chairs, or another bench, and it makes a great place to sit outside and visit with friends and family. 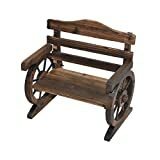 This bench style natural log porch swing has a primitive rustic look and once the wood ages, it will be even more so. We have one similar to this one in our yard , and we have really enjoyed ours. Great for spending some time with the one you love. We have ours under a maple tree, and it is great on those summer days, when you just want to get out of the house for some fresh air.. This piece isn’t actually wood, but is Cast Stone. It is made to resemble Petrified Wood, and is included here, because of it’s unique, and beautiful style. Benches provide many different functions depending on the need. They are seen inside buildings, as well as outside, with each performing a particular job. Benches can be composed of many types of materials that are durable as well as aesthetically pleasing. A wooden bench can be very ornate or simplistic. Wooden benches also can be mass produced or crafted by talented artisans. Wooden benches come in a variety of styles that fit any environment or preference. Benches can be seen anywhere from public buildings to campsites because they are extremely versatile. A bench is one of the handiest forms of furniture because of its design. A wooden bench is often used for people to sit on in different capacities. A piano player sits on a bench to play beautiful music while a camper sits on a crude wooden bench by a campfire. Benches are often named for the area that they are being used in. A wood bench in a park is a park bench, and a communion bench is found in a church setting. Wooden benches can be found in many different places using different kinds of wood. Hard woods and soft wood both can be used to make a bench. Many benches are made from pine, which is a softer wood but is more affordable. Hard woods are often more expensive but make wonderful, long-lasting creations. Oak is a hard wood that is often used for benches because of its durability. Mahogany is a hardwood that is more expensive, but it resists shrinking and warping that happens when moisture is present. It is a reddish brown color that makes beautiful benches. The choice of wood depends on what and where the bench will be used. Wooden benches are common because of their versatility and affordability. A park bench is a perfect example of a bench that serves many people and is often constructed with metal arms with slats of wood for the seat and back rest. These benches can be used in public parks as well as park-like settings in a yard. They are comfortable and can be stained to match a person’s preference. The stain will also provide water resistance increasing its life span. All wooden benches are a good choice because of the wonderful craftsmanship that is involved. Benches are a great piece of furniture that provides a function and will last for generations to come. Wooden benches add a practical homey feeling to any area where seating is needed. Benches are often made to accommodate more than one person; this makes an amazing place to sit and talk. These are called friendship benches and can be located anywhere where an intimate moment is required. A wood bench is a go-to seating for many occasions, but at the same time, they are durable and attractive. The perfect bench will be an extension of person’s personality and needs. Wooden garden benches are the perfect accessory for any garden. Rather your garden is large or small; there is a bench that will allow you to sit and take in the beauty around you. There are a wide variety of benches to choose from. The different types of wood and styling make finding the perfect bench a possibility. When your garden needs an extra boost to evoke the feeling you want from it, adding a bench can make it all come together beautifully. You can choose a bench that blends in, or one that stands out as a centerpiece it is all up to you. It is important to choose a manufacturer who provides a quality product so that your bench can be enjoyed for years to come. The wide styles of garden benches make it so easy to find one that you love and will fit perfectly in your garden. Wooden garden benches can be made from a variety of woods. The most common types of wood used to make garden benches include Cedar, Redwood, Teak, and Cypress. Each type of wood offers its unique properties. Another common trend in wooden benches for the garden is to use a more rustic by pieced together sticks. Whatever you chose to be sure the style matches that of your garden environment so that it can be enjoyed to its fullest. Choosing a bench that is the right size for its intended space is also important. A bench to small or large will look out of place among your plants. Finding the right manufacturer for your dream garden bench is important. Not only is your bench going to be a place where spend hours enjoying all your blooming plants, but it is also a statement about your garden. Choosing a well made high-quality bench means that you can enjoy it for years to come. This might mean more expense in the immediate future, but it will save in replacement costs over the years. Look for a wooden garden bench that is sturdy and well made. If a bench seems too delicate to hold the weight of its occupants, chose a better-made bench. You will not regret taking the time now to select the perfect bench. Rather you chose a bench that evokes a rustic feel, or one that reminds you of Central Park, finding a bench that is beautiful and blends well with your garden is important. Remember it is your garden, your vision, and your bench chose what you feel looks best. 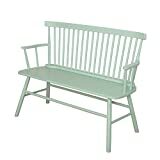 If you like a cottage feel consider selecting a wooden garden bench that is painted white. Whatever bench you decide on, sit down, relax, and enjoy. Outdoor teak furniture will make a great addition to any outdoor area. Teak is a type of wood that normally comes from an East Indian tree. It has a beautiful natural yellowish color to it that makes it a great looking option for outdoor furniture. Teak is also a very durable wood that thrives in outdoor areas. These are all great reasons to purchase teak for outdoor usage, but there is an even better reason to do this. The biggest reason why people use this furniture outdoors because it has a natural resistance to water, mildew, insects, and things of that nature that normally destroy outdoor seating. Because of these reasons people love using it. 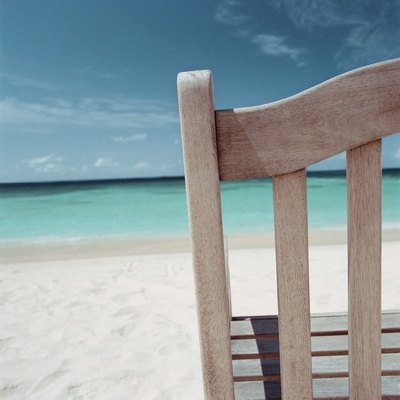 There are a lot of different outdoor teak furniture options to pick from. There are some different styles of chairs and bar stools to pick from. Some of them are going to have different colored cushions and things of that nature with them. Others are going to rely on the natural wood look for its beauty and have a very simple wood design. Teak chairs do come in many different heights and sizes. Some will have backs while others will be in a bar stool style with no back on it. 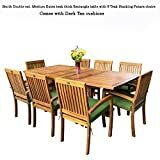 Picking between so many different types of teak chairs can be hard, so a good rule when picking them is to match them with tables or a bar. There are going to be a lot of tables to pick from as well, which includes nice round tables or smaller square tables. They vary in sizes, but the best looking ones are tables that showcase the actual teak wood and do not try to cover them up with paint or things of that nature. People should think about what type of outdoor area they want to create and match the tables and chairs to that type of area. Tables and chairs are a great type of outdoor teak furniture, but there are even more options than that. Many people that do a lot of entertaining outdoors will buy a teak bar. These look like smaller bars people would have in a home, but they are just made for outdoor activities. Teak bars often come with matching teak bar stools. Loungers and steamers made from teak are also a nice addition. They are more for people who enjoy relaxing outside and not entertaining large groups. These chairs are long, close to the ground, and perfect for sunbathing. Teak benches are also made for people that like to have outdoor seating but do not want anything to be extravagant. 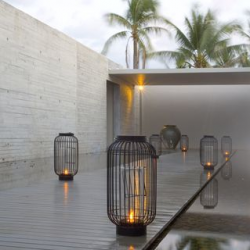 All of these options will make a great addition to anyone’s outdoor space. A wooden garden bench is something that every gardener should have in their backyard. Despite the importance of such a thing, it is surprising how many people do not have these kinds of benches around their garden. You might be wondering why such a thing is so critical, and to illustrate this point, just imagine what it has been like to be in a garden that had a bench, and one that did not. In the latter case, you have to be standing up continually, and you can never really truly appreciate the nature around you. Perhaps the best thing about a garden bench is that it enables you to have this power. The power to sit down and take in your garden for what it truly is. And wooden benches are specifically great for being around gardens. After all, wood comes from trees, one of the most iconic plants associated with nature. By including a wooden bench around your garden, you make it feel even more ambient and reminiscent of nature itself. This improvement in the general atmosphere of your garden purchases a wooden bench worthy in itself, even if you never even sat down on it. But of course, it is important that the product be comfortable because you will be sitting down on it. Wood is one of the most comfortable surfaces around, and even if you were to sit down and lean against a tree, you would feel its firmness and support. 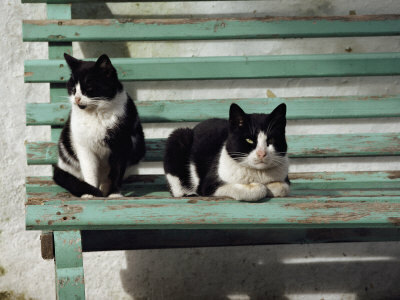 This is exactly what you get with a wooden bench, but it is even better. This is because a bench is obviously designed to be sat down on, and is thus more comfortable. When you are sitting down, your body is automatically placed into a relaxing state, and you can appreciate what is around you to a greater extent. 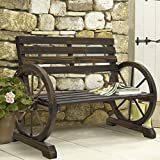 If you have a garden, this is especially useful because the bench enables you to take in the image with enhanced appreciation. After all, since you have put so much work and effort into making your garden beautiful, you should be able to enjoy that. The various uses of wooden benches make them the most sought-after garden furniture type in the world. It usually is not advisable to hop on the bandwagon just because others are doing it, but when it comes to wooden benches, this is something that mostly any gardener can benefit from. We have become a bargaining culture, always wanting to find the best deals on any product that we are seeking. This is also just human nature, in wanting to get as much as we can for as little as possible. Thankfully, there are more opportunities than ever to get the best deals on wooden benches; you just need to know where to look. An ideal way to save money on anything is to buy in bulk. This might sound a little difficult when it comes to wooden benches since most people would not want more than one or two. That is why you should get together with friends who are also interested in the same type of product as you, and throw your money in to buy many wooden benches. This will drive down the unit cost of each one and save the individuals money, which is ultimately all that matters. If you ever need to turn around and sell back your wooden bench to someone, you might even turn a profit if you save enough money on the initial purchase. Craigslist has become the most well-known classifieds website in the world. Just like with eBay, you can find nearly anything on Craigslist, and the experience between users is much deeper than with other websites. On Craigslist, you pick up items directly and search the site based on what city you live in. After contacting the seller, you meet up with them and make the transaction. Prices can often be extremely low since many users are just trying to get rid of old junk. In the best of scenarios, you may be able to get a free wooden bench if you find the right person at the right time. Craigslist has a free stuff section, so if you check that out long enough, you might get lucky and end up some great furniture. Remember that finding these kinds of deals is the key to saving money on wooden benches. The majority of households have some bench, whether it be wooden or otherwise, and that includes one’s family and friends. If you know someone who no longer needs their wooden bench, you should offer to purchase it from them at a lower-than-retail price. Since you are buying from someone you know, they are likely to accept your offer and be appreciative of you taking something they don’t want off their hands.